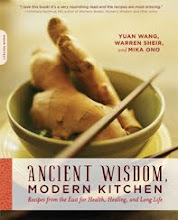 Ancient Wisdom, Modern Kitchen Blog: "Ancient Wisdom, Modern Kitchen" Wins International Book Award! "Ancient Wisdom, Modern Kitchen" Wins International Book Award! 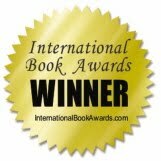 We're thrilled to report that the International Book Awards has selected Ancient Wisdom, Modern Kitchen: Recipes from the East for Health, Healing, and Long Life as the winning entry in its "Cookbooks: International" category! As an extra vote of confidence, the book was also chosen as a finalist in the "Health: Alternative Medicine" section. More information about the work is available on the Ancient Wisdom, Modern Kitchen website.